When you are running around like a chicken with your head cut off a few days before Christmas, dress like an elf! It will make you feel so much better. 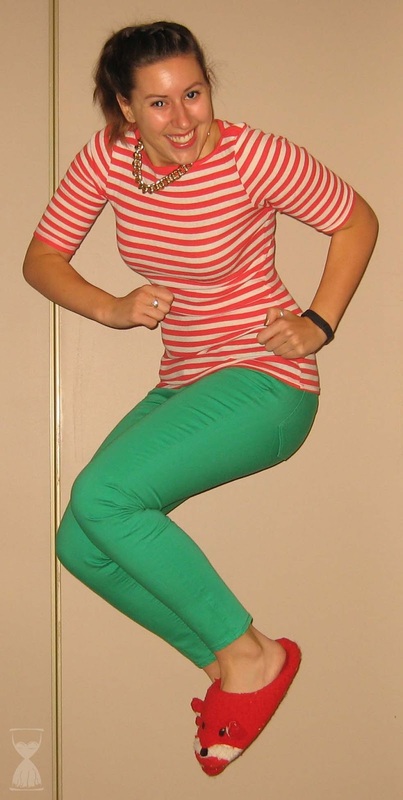 You can't get mad when you dress like a cheery little Holiday elf! I was spending the day at home (not sure I would go out in public dressed like this, unless I worked in Santa's village), and was wrapping gifts and packing for our trip. It felt right to dress like one of Buddy's friends to finish off my Christmas to-do list! Just call me Pompom Twinkletree!